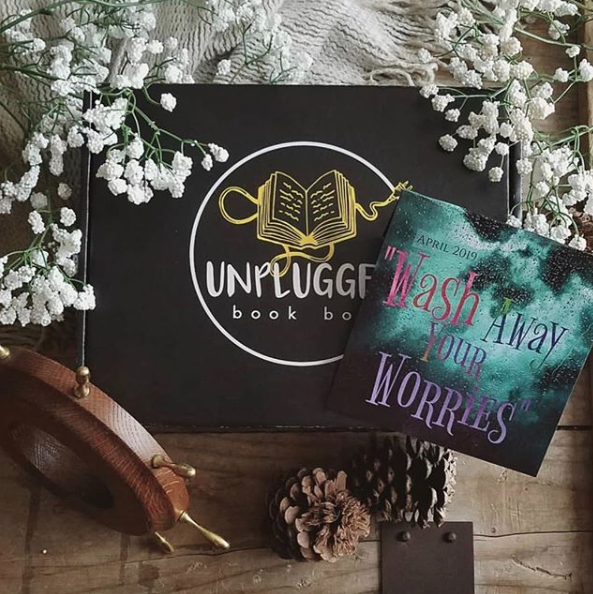 Unplugged Book Box April Box - Theme: Wash Away Your Worries. Book hint: An epic, sci-fi/fantastical retelling about a group of friends. Fandom hints: Aquaman, The Sea Witch, Six of Crows, Pirates of the Caribbean.